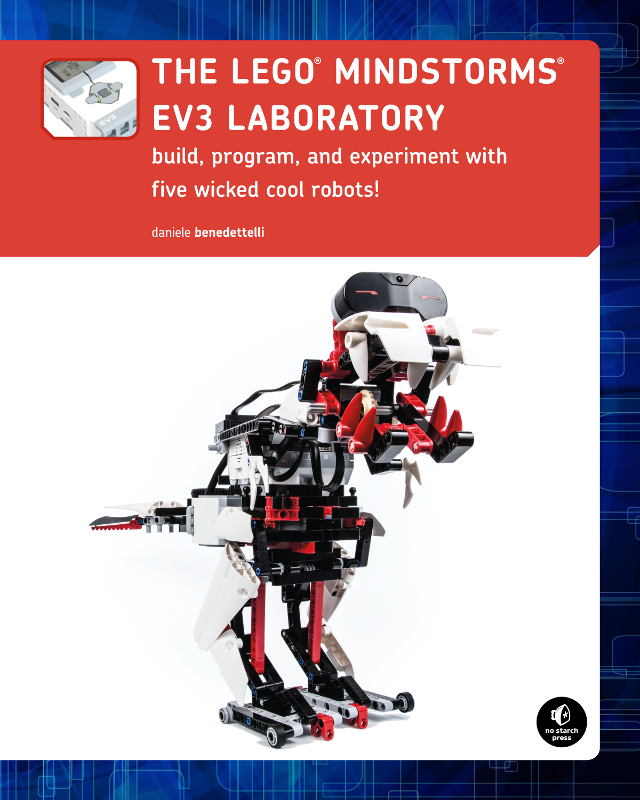 The LEGO Mindstorms EV3 Laboratory by Daniele Benedettelli, No Starch Press, 2014 is a rather different type of “unofficial” manual for the LEGO Mindstorms EV3 kit. It is a manual introducing the reader to EV3 robotics building and programming, with a comic story to make it fun reading as well. The story is about an apprentice (Dexter Zifu) coming to study under Mr. Daniel (a.k.a. the author) at the EVolution 3 Lab. Dexter, as many young impatient apprentices soon discovers that there is much to learn. 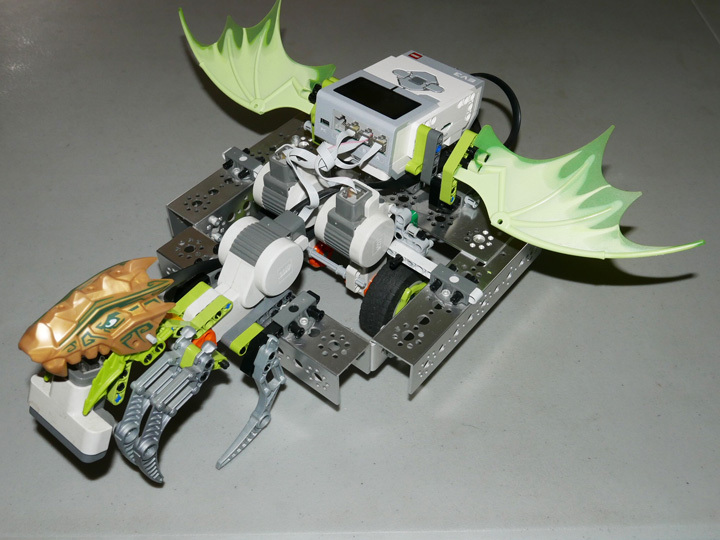 The book is written for use with the LEGO Mindstorms EV3 Retail kit #31313, however, it can be used with the Educational version #45544 also known as the Core Set – the actual programming software is "basically" similar except the Educational version has programming blocks for Gyro sensor, Temperature readings, Ultrasonic sensor, and an Energy Meter; the Retail/Home version does not. There are also a few different building elements. Although the Infrared sensor block is on the Educational software version, the Remote IR Beam and IR sensor elements are not in the kit, but they can be purchased from LEGO. you to various building elements – how to use beams, gears, sensors, and motors. He also touches on mathematical, and robotic engineering concepts. 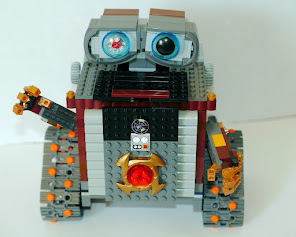 He leads you through the building instructions for Rov3r, a teaching model robot for the book. Now, this is where color would have been very useful. Color building instructions are so much easier to follow. The book is in black and white and gray-tone. step-by-step through writing a simple program with the Program App, with clear diagrams; I particularly like the paralleling with a flow chart. Chapter 4, is devoted to Advanced Programming with the Brick Program App. 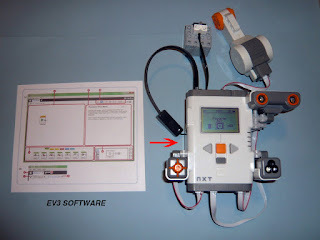 After exploring programming with the Brck Program, Benedettelli introduces you to EV3 computer programming. If you love math, you will appreciate the chapter, The Math Behind the Magic! – it has an excellent explanation of the Math blocks. Matter-a-fact, math is used in quite a few explanations. Since Benedettelli is using the Retail version of the EV3 Mindstorms, there is a chapter on the IR Sensor and using the Remote IR Beacon. There is a cute comic story to go with it too. http://robotics.benedettelli.com/publications/lego-mindstorms-ev3-lab-book/ and put in the password codes from the book, you can download additional models and programming. The remainder the book give building instructions, Brick Program App, and EV3 programming for more advanced robots: WATCHGOOZ3, SUP34 CAR, SENTIL3L, and T-R3X; again, this is where color would be very helpful for easily identifying the different color-coded programming blocks in the palette and building elements. The printed book has gray-tone images, however, the eBook versions are in color, so I would definitely recommend you purchase the eBook; plus, eBooks on tablets are great, because you can zoom in on details and you can easily read your tablet (no trying to hold the book open) while programming on your computer. By the way, if you really like having the printed book for your bookshelf, but would also like an eBook version, order from No Starch Press and get the free eBook with the order of the printed book. 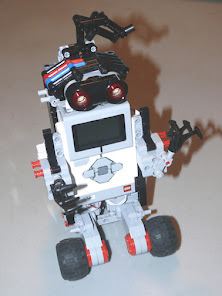 If you have Mindstorms NXT experience, I would definitely recommend The LEGO Mindstorms EV3 Laboratory by Daniele Benedettelli to get you started with the Mindstorms EV3. Newbies to Mindstorms robotics "might" be a little overwhelmed with this book, so I would recommend another book (reviewed on this blog) first, and then get this book for more in-depth learning.